Lansky's Diamond Benchstones are designed for expert knife and tool care. 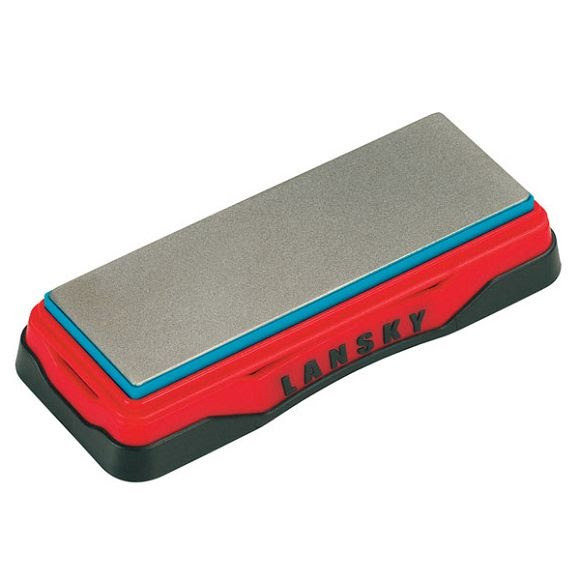 All Lansky Diamond Benchstones feature a full edge-to-edge diamond grit surface for quicker, more efficient sharpening. All Diamond Benchstones feature a high-impact plastic self-storing case that raises the stone for maximum safety and comfort. The bases come with non-slip feet and an overmolded rubber frame. Lansky&apos;s Diamond Benchstones are designed for expert knife and tool care. All Lansky Diamond Benchstones feature a full edge-to-edge diamond grit surface for quicker, more efficient sharpening. All Diamond Benchstones feature a high-impact plastic self-storing case that raises the stone for maximum safety and comfort. The bases come with non-slip feet and an overmolded rubber frame.